By the time I was born, the 80s were far gone, and today, they seem lightyears away. But they really were a defining decade, complete with their music, culture, and questionable fashion choices. 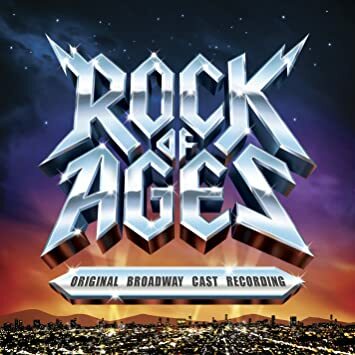 I recently had a chance to get a taste of that when my younger sister’s middle school put on the play, Rock of Ages, this past April, modeled off of the Broadway play (not the movie- don’t worry.) I have to say, I really got into it, having seen all five or so shows. Even now, I still find myself ‘rocking out’ to some of the music from the play, and it reminds me of the times when my mom and I would set up 80’s radio stations and she would be able to name literally every song that came on as I stood in awe of the stark contrast in music taste. Without a doubt, though, the 80’s had some good music, as did Rock of Ages. You’ve got some of your classics, like Don’t Stop Believing, as well as some other, little known gems which I took a lot of liking too. What I loved about this song was the vocal contrast and constant changes in style and tempo between LA and Sherrie’s parents. It really added a neat dynamic to the music, especially when viewed on stage. Once again, the vocals in this piece were just phenomenal. In the case of our play, the female and male vocals were switched, but the same connection between the two existed, and the range between the duet was really fantastic. This was a much different style piece than the previous two I’ve mentioned, but the same musical power in the duet was just as present. The piece is really emotional and shiver-worthy, one of submission and despair. The guitar riff. Enough said. This song is my favorite from the play, not because it has the best beat, but because it has the greatest story and emotional connection. At this time in the musical, two of the main guys in the story, Lonnie and Dennis begin to express the feelings they’ve had for each other but for so long had struggled to show. This piece was just really inspiring and touching, and the way it was portrayed was truly heartwarming. All together, these pieces made a great musical, and while it far from beats most of the other musicals I’ve encountered, it was really enjoyable being part of that experience. Next week, I’ll be speaking about what is my favorite classical piece, without doubt, of all time: Mozart’s Reqiuem, which I recently saw performed live.